We have the experience and expertise to bring your vision to life. 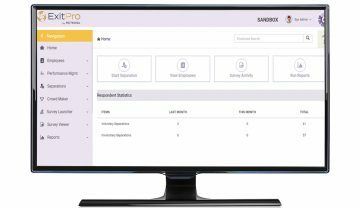 Originally developed for conducting exit interviews, ExitPro has become a powerful tool for measuring & managing staff turnover. ATLAS Martial Arts Software is the most advanced school management software in the martial arts industry. 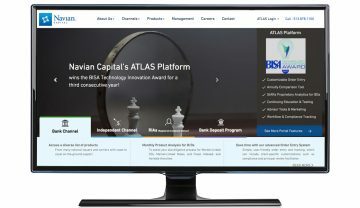 Navian Capital’s ATLAS platform offers financial professionals access to a diverse range of investment tools. Why build your own application? Many of the most successful companies in the world are in the software business. What costs millions to create years ago can be done for hundreds of thousands now, but the beauty in software is the ability to start small. It’s recommended to work with a handful of clients willing to financially support the idea and create a basic version of the application that can support their needs. As the client base grows, additional features can be added with the support of new clients. Each new feature is an investment in the future of the application. As the client base grows, the application grows. ­ Knowledge of reliable cloud hosting providers. ­ ­Setup of servers under your control on Canadian soil. Building a software application is a large undertaking, but working with an experienced team that has helped create numerous applications can be a benefit. In addition to having 2 full time Techversant team members - we occasionally reach out for one off one week long projects and he is able to accommodate us with programmers for short term jobs. It is awesome having that flexibility. We have been using Techversant for more than five years now. We feel that a partnership with Techversant was one of the best business decisions we have ever made in our company history. Selection of right business partners is not just about price, quotation but also about the relationship that develop over time with the right company who are as much interested in our success over a long term. Techversant turned out to be such a company. Do you have a website, a mobile or online application? What if I told you that anything was possible with software, how your business uses computers and how your leads interact with your brand? You arrived here for a reason, and we believe we have the right solution. Web development through application design is more innovative. From investment tools to school management softwares, there’s no limit to what our agency has been able to do. You give us an opportunity to continue this legacy. The world continues to expand on a digital front. We want to share with you the one crucial thing you need for obtaining the potentials of development. It’s called customization. Come up with an idea and any idea, and we can do it. Customization is the key to the future of a digital world, and few people have the knowledge, expertise and skill to create the resulting solutions on their own. Get ready to grow your business, generate more sales and do it all in stunning fashion. Do it your way and your way alone. The relevancy of Web development hangs on the backdrop of digital technology. We live within a thriving information society. The formation of the data we access is digital. This means that we’re giving forms of media through audio, text and images be they moving or still. We have somewhat created a projected reality of the human mind with its wild thoughts and imaginations. Here’s your opportunity as our collaboration begins to spread its wings. The rise of digital is not just about accessing data. It’s also about functions and processes. We use digital via computation to achieve various tasks. This computation can do our work without our input. We’re bringing this to mind so that you’re inspired. You have a business to run, and the work can be scaled in tremendous ways through automation. Let’s first see how important it is to have professionals on your side. The revolution of digital requires highly educated professionals who achieve the next move in development. These professionals write applications from just a blank sheet on a monitor. The work creates processes that agencies like you can rely on. Web and mobile applications are now competitive, and a professional is needed. You’ll need a competent expert to move ideas forward and without any challenges. We minimize the challenges in order to ensure that your money is well spent. Our team has hundreds of combined years of experience developing custom software solutions. It’s best to understand the various services we provide to achieve your goals on the digital front. You’ll be in a more competitive position after reaching out to our staff. Let’s speak about the details. Every situation is different, and there are many tools to access for the ideas you have in mind. Let’s take a look at the potential of e-commerce solutions and lms development. e-Commerce Solutions: Commerce comes in many shapes and sizes due to wireless technology. Imagine an App designed just for your product or service. You’ll enable consumers to have the “option to buy” ready at all times. Done right, and we can program peak notifications for active sales or send reminders for an open cart with items ready to go. Content Management: Some of our clients need to manage a large amount of content. Content marketing is an intricate science that gets more complicated the more of it you need. Effective campaigns are those put on auto pilot. Doing that requires software that can manage the entire process with ease. Imagine that you then get that content distributed to all the right channels, leads and outlets. Web Application Development: Smartphones aren’t the only places to find application features customized to your business’ product or service. We build the same innovative technology right into your website. It all starts with the vision you have and a quick consultation with our agency. 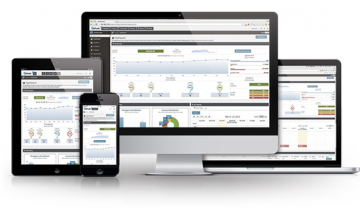 Testing & Integration: Nothing should go live without first testing it through lms development. We put measuring into place in order to double check our own steps. We then enter new or existing markets with greater confidence and technology that we know will work. The hottest item on the market is mobile application development. The mobile device is owned by a large majority of the world’s population. The convenience of digital is being brought to the world through a handheld monitor. The number of users having these devices is also increasing. This is why you want to consider the option. Effective technology meets the consumer right where they are and through what they’re already doing. There are many functions to consider, and all of the pieces are put into place through our ongoing work. Work with us to get a complete package in web application development. Logo & Branding: Be identified by those connected to wireless technology whether it’s in the App store or within their mobile desktop. Keep that image right where they can always see it. This is branding “101,” and we can achieve it through modern technology. Website Design: The design of your website goes beyond scrolled pages and pretty text. Your site has to be mobile friendly. The time your site takes when adjusting to someone using a smartphone will dictate if they remain on that page or not. Marketing: True marketing strategy is about depth. The deeper you go, the more psychology you add, and the longer you work on these, the more you can incorporate technology where it makes the most sense. Find out why hundreds of clients trust us with their projects!